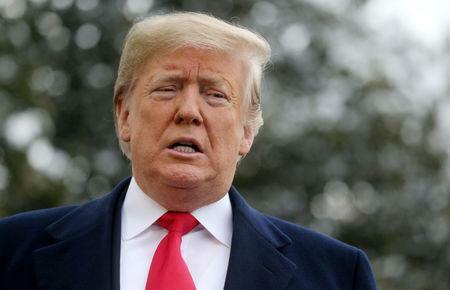 WASHINGTON (Reuters) - The U.S. government shutdown over President Donald Trump's call for Congress to fund a wall he promised to build on the U.S.- Mexican border is threatening another campaign pledge to make rules easier to navigate for banks and corporations. The partial shutdown, sparked by a standoff between Democrats and Republicans over how to address Trump's demand, is already the longest ever, entering its 27th day on Thursday with no signs of a resolution. The Trump administration has outlined plans to ease bank rules, overhaul corporate governance, and boost financial innovation, sparking hopes among executives that they would already start to feel the benefits this year. Yet with Democrats now in control of the House of Representatives and the 2020 presidential campaign expected to stymie policymaking, industry lobbyists worry the shutdown will further limit the narrow window for the new rules to kick in. Of particular concern is the fate of rules being penned by regulators to implement changes, passed by the Republican Congress last May, that relaxed restraints imposed on banks after the financial crisis, said lobbyists and regulatory sources. Republican lawmakers had expected many of those changes would be close to the finish line by now, but several have yet to be put to public comment. This step, among others, is part of a strict rule-changing process dictated by federal law that cannot be easily expedited once the government reopens. Given many of the changes face opposition from consumer groups, lawyers say any hiccups in their implementation could expose them to litigation and delay them indefinitely. “While there is an image of folks coming in and cutting red tape, for better or worse that is not the way our legal process works and the government shutdown really impedes that process,” said Ben Olson, a lawyer with Buckley Sandler who previously worked for several agencies including the Federal Reserve. At the Securities and Exchange Commission (SEC)and the Commodity Futures Trading Commission (CFTC), whose budgets are set by Congress, less than a tenth of staff continue to work in areas such as law enforcement, market surveillance and investor protection while all non-emergency rule-making is suspended. The CFTC, for example, was scheduled to agree rules that would pave the way for Intercontinental Exchange <ICE.N> to begin trading digital currency futures in coming weeks, but that timeline is now unrealistic, according to a person familiar with the CFTC's original plan. With no SEC staff available to approve paperwork, initial public offerings are getting backed up, said lawyers. Brokers are also unable to get critical guidance on whether some trades are compliant, said Marlon Paz, a Washington-based lawyer who advises financial firms. "I fear there is little oversight in tumultuous times." Although the three banking regulators are funded independently, lobbyists say the shutdown may derail their work on rule changes overseen jointly with the SEC and CFTC. That includes the "Volcker Rule", which imposed curbs on banks' proprietary trading as part of the 2010 Dodd-Frank law. U.S. and international banks have criticized the rule as too burdensome and lobbied hard for changes, but the five financial regulators are obliged to review thousands of pages of comments before taking further action. With CFTC and SEC policy staff barred from even checking their emails, however, these types of joint projects are stalled. "They still have to review all comments, and the folks who have to review them are at home watching TV," said Wayne Abernathy, executive vice president at trade group the American Bankers Association. "Our worry is that the shutdown could be slowing down the process." A CFTC spokeswoman confirmed the agency has halted all rule-writing. An SEC spokesman said the SEC was staffing emergency functions. Furloughs at the Office of the Federal Register, which must formally publish all steps in the rule-writing process, have also delayed other changes Congress agreed in May, public records show. For example, days before the shutdown began on Dec. 22, the Federal Deposit Insurance Corporation (FDIC) and the Fed, alongside other agencies, unveiled two proposals to ease rules on broker deposits and community banks. But those have yet to be published in the register, which is required to start public comment periods. Bridget Dooling, a research professor at George Washington University, said the law allowed few shortcuts, meaning a backlog created now would likely not get cleared for months. "Losing a month or two months or, who knows, maybe more from your productive timeline could ultimately jeopardize your ability to finish the work you set out to do in a presidential administration,” said Dooling, who previously worked in the regulatory office at the U.S. Office of Management and Budget. Spokespeople for the FDIC and Fed declined to comment. The Office of the Federal Register was not able to respond to requests for comment due to the shutdown.